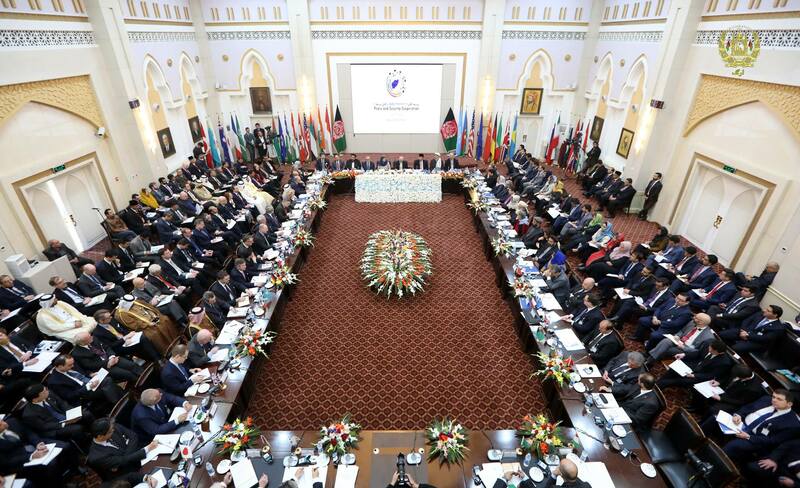 KABUL -- The Kabul Process Conference, a meeting bringing together at least 28 countries and organisations, is meant to bring about peace in Afghanistan with support from regional and international allies. The meeting, scheduled for Tuesday (June 6), is taking place amid an uptick in deadly terrorist attacks over the past week. A truck bombing May 31 in Kabul's diplomatic quarter killed at least 90 people and highlighted growing insecurity in the city. Holding the Kabul Process as planned shows Afghanistan's commitment to end violence and find a solution for lasting peace, say participants. President Ashraf Ghani on May 18 hosted a number of foreign ambassadors at the Presidential Palace to discuss the conference. The conference should not be ceremonial, he said. It should have a clear commitment for countering terrorism and maintaining peace and lasting stability in Afghanistan. "Afghanistan is going to lead the Kabul Process, which will lay the groundwork for peace with the Taliban and other armed opponents," Ghani said. While the Afghan government is going to lead this process, it is asking allies for help, he said. Afghanistan's High Peace Council welcomed the conference, expressing hope for positive results. Holding this conference will yield positive results for peace and reconciliation in Afghanistan, Mohammad Ismail Qasemyar, a leading member of the High Peace Council, told Salaam Times. Already, because of the efforts of the government and the High Peace Council, Gulbuddin Hekmatyar, the leader of Hizb-e-Islami Afghanistan (HI), gave up fighting and joined the peace process, he said. Scores of other former Taliban and "Islamic State of Iraq and Syria" (ISIS) militants have also recently renounced violence and pledged to work with the government towards peace. Afghan parliamentarian Obaidullah Barakzai, of Uruzgan Province, welcomed the news that the peace process is being led by the Afghan government, saying, "An intra-Afghan peace process will be successful." The peace process could be difficult since militants are fractured and do not have a single leader to represent them, cautioned Sahira Sharif, an MP from Khost Province. "The Taliban have been divided ... without having one independent leader who can negotiate with the government and make this negotiation a success," she told Salaam Times. Afghans say they are hopeful the government's initiatives will result in stopping the militants' war and indiscriminate killing of civilians. Shabnam Moradi, an employee of a charity in Kabul, said she appreciates the government's efforts to provide peace and security across Afghanistan. "I hope the opposition groups will stop this useless fighting as well," she told Salaam Times. "Terrorist leaders take advantage of young people's ignorance ... by inciting wars and committing crimes in Afghanistan," she said. "The Taliban and other terrorist groups have no clear strategy whatsoever," said Abdullah Yousefi, a civil society activist in Kabul. "They murder innocent people in the name of 'jihad', while most of their actions are inconsistent with their slogans." "The militants no longer have a place among the people," he told Salaam Times. "Afghan citizens unanimously support the security forces, while welcoming the government's peace plans." "It has become clear that the terrorists cannot defeat the government of Afghanistan, which enjoys both local and international legitimacy," Mohammad Nader Ayyubi, a university student in Kabul, told Salaam Times. "Therefore, it is better for them to stop the killing of innocent people." Rahimullah Mirzai, 24, another university student in Kabul, urged the Afghan security forces to step up operations to stop terrorist attacks. The terrorists "do not adhere to any religion or religious beliefs, nor do they support the peace process", he told Salaam Times. Expressing his gratitude and appreciation for the public co-operation with the Afghan security forces, Gen. Dawlat Waziri, a spokesman for the Defence Ministry, said that Afghan troops are committed to the last drop of blood to defend Afghans' lives and property. Representatives from Central Asian countries and some European countries, as well as India, Pakistan, Saudi Arabia, Norway and the United States have been invited to the Kabul Process Conference. "The enemies of Afghanistan cannot win. They will not win," US Ambassador to Afghanistan Hugo Llorens said in a statement following last week's attacks. The Kabul Process Conference offers another opportunity to send that message and to discuss security, peace and reconciliation, and economic development in Afghanistan, he said. "The conference will be a visible reminder to all those who seek to harm Afghanistan that the Afghan people are never alone," he said. 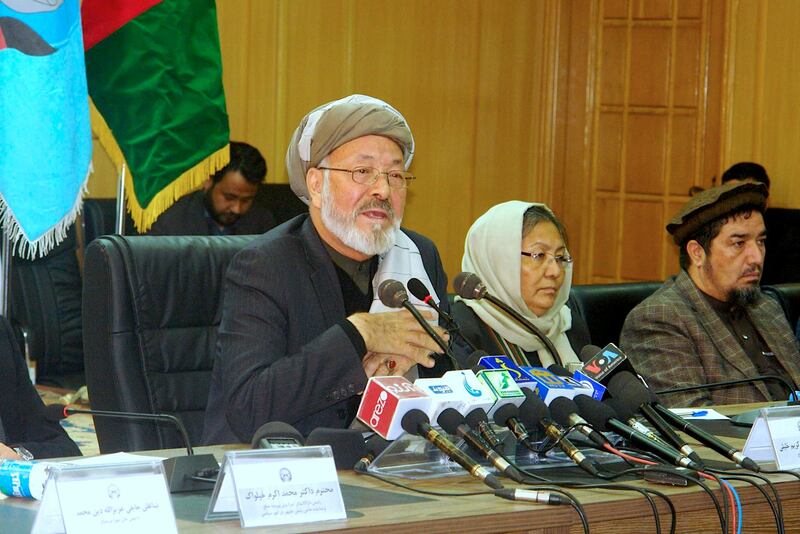 'Our main duty is to end the war and begin the peace negotiations,' said HPC Chairman Mohammad Karim Khalili.